This recipe is Gluten-free | Dairy-Free| Sugar-free | Egg-Free. Basically free of all allergens that could harm celiac patients or those who are intolerant to any of those ingredients. You will have come across recipes on my website that state the couple of lines above and similar statements. You may even find some of my products that follow the same or similar guidelines. As such, I have written this article to explain why I include such recipes and products under my brand label. And also to tell you that I do not promote this trend or lifestyle whatsoever to anyone who is healthy and not suffering from any illnesses or allergies, tied to this diet, especially not to those who are self diagnosed and have not been properly diagnosed by health professionals. Please note that while I do try to cater for all needs in all my products, and do converse with all about many food issues, I am not at all promoting or recommending that you follow any specific diet plan or eating regime. I am not a qualified health practitioner and if you need any such advice you should seek it from those who are licensed to give it. I share my own personal views and thoughts on food-related things. I give you recipes. I create products to cater for your different needs. But you follow the diets and regimes that you and your health practitioners know are good for you. I do not post these recipes because they are trendy, as I know many people do these days. 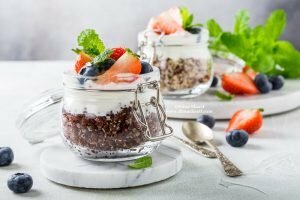 I do understand that there are trends and so some recipes become “hotter” than others, but I post these recipes mainly because my mission has always been to cater to everyone and all dietary needs (since the early days when I used to do catering, and even in my line of artisanal products today, to even my blog & website). I do that, because I too can and cannot eat specific foods, and as such I do understand what it feels like to crave things and not be able to have them. In the end we all want to have delicious, good and nutritious food that fuels our bodies and does not work against them. 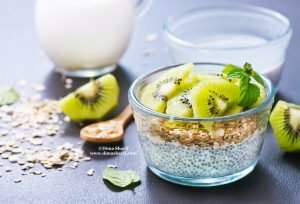 Over the past few years, it seems that a lot of new intolerances had been acquired by many people who prior to that used to be able to enjoy an array of the same foods without any such health problems or severe reactions. It seems that our bodies are either getting depleted and overly tired trying to work through all the pollution/ chemical/ pharmaceutical/ mass produced and overly processed/ GMO laden / non organic… (the list is endless) ingestions that we have been doing. It seems many bodies are protesting now and deciding “No More”. I understand that. In fact, I understand that very fully; as I have been one of the early groups of food enthusiasts/chefs/bloggers (whatever you want to call that trend/wave back then) to have discussed this (what is wrong with our food) at length with anyone who would listen. I held talks at schools, with both students and parents. I held training sessions with teachers in those schools. I wrote online and in magazines about this and I also wrote many articles on my old blog as part of my back then #GoOrganic campaign (some of which are still here, included in this website). So I do understand. I even started my whole line of products Mooneh by Dima Sharif to promote and cater for the organic, local, chemical-free, natural and old school approach to food and those who truly want to follow that lifestyle and are on the lookout for outstanding products that help them do so. With that said, unfortunately, there is a lot of misinformation that is circulating online today. Mainly through social media portals, where the aim is to gain as many followers as one possibly can, either through posting gorgeous images or simply by riding on trends. Trending topics, trending hashtags, trending lifestyles…etc. Small communities are then formed and they support one another and the next thing you know, that odd book on a shelf, written out of a personal experience and based on a personal journey and battle – not necessarily applicable to all humanity on earth – is picked up by a few as uneducated editors (not medical doctors, health practitioners, alternative medicine professionals nor licensed healers), who end up validating that this is how everyone should eat from now on! Bizarrely, all of it is based on the notion of “how one can lose more weight in no time” but if we were to be more honest and call it by its name it becomes “Anorexia and malnutrition in less than 3 months”!!! Go figure! Then starts the individual battle of peer pressure, low energy, fitting in, malnutrition, anemia, osteoporosis, starvation, calcium-free, energy-free, love-free cycle…. And no one ever mans up to say anything! God forbid! Risking to lose all those followers! Is there anyone out there seeing this too? Isn’t there something very wrong with the whole scenario?! But don’t take my word, ask the ones whose specialty is health. Ask the professionals as we always say. Most of these “food trends” being promoted as “healthy” today are not suitable for all bodies. 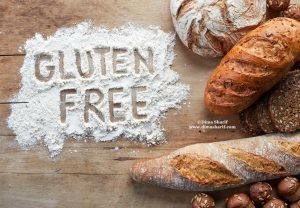 Yes they are very good for celiac patients, or people with specific intolerances, but all those people have a health issue that requires them to eat only that food or to stay away from specific foods. These severe “clean eating” diets are in fact very dangerous for people who need not live that way! 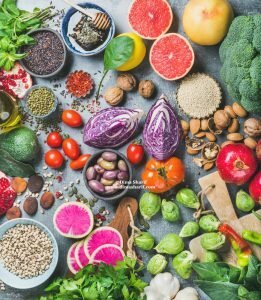 Your body does need different nutrients from different food groups and you are blessed if you can eat all types of food, so don’t deprive yourself to fit in! Occasional indulgences are one thing and are fine, but regular regimes have to be very thoughtful and properly evaluated. Mostly supervised by people whose official knowledge and experience is in that field and not just any random person with access to a keyboard! I cleanse my body and detox, and everyone who knows me knows I do these things regularly. But I never go for years and months on any cleanse or detox!! You know, it is a detox not an exorcism! It is just allowing my body the chance to take a rest from heavy digestion and overwork. I gain weight when I indulge as any normal being does, and I do indulge at times (I am only human), but I take things into my own hands after that, and I exercise, eat healthy and stay away from sugary treats and junk.. in no time, I am back in shape. I try to maintain the healthy phase, my life includes stress as all of us do these days (work, kids, and other things) so I am unable to be 100% focused on all areas all the time, something gives… but hey this is honest living. This is balance. 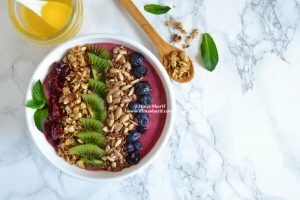 Not “the smoothie bowl and all else is wicked!” promoted as “balanced living” when in fact it is the exact opposite. Yes, I like those smoothies, I juice in fact and love my juices, but I have lunch and dinner, eat rice and stew sometimes, grills and salads at other times, chia pudding one morning, then fried eggs or a frittata with my amazing red shatta another morning… and life goes on… I have my medical check ups regularly and I have excellent readings… what more should we ask for! We all want to eat clean of course. But this whole misuse of language or best explained as “skimmed language” makes things so complicated and vague! Clean of what? Clean to whom? These are the questions we should ask, not just adopt labels and slogans! If it is clean of chemicals, then am on. If it’s clean of inedible materials, dirt, contamination, mass production processing, over processing, carbon footprint… then yes by all means. In my personal case also if it’s clean of wheat (as I happen to be intolerant) then yes. But if it is clean of calcium (I don’t need to be off dairy, in moderation, I can have dairy), clean of protein? clean of carb? Clean of what exactly. “Clean” is such an open ended label the whole universe can fit into it!! I felt this is important to consider, and so am bringing it to your attention. Do think about this, and as ever be mindful and don’t just ride waves. Choose the wave you wish to ride on and have a say. For Pete’s sake have a say in what you eat, drink, wear, spend, value or not and most importantly have a say in what you think. Don’t make it your goal to fit in, in fact try to fit out as much as you can, because fitting in these days is all about disappearing (by all means) and you actually want to be very present, experiencing, learning and growing. Do what works for you and if you do have to eat “clean” then do and make sure that “clean” is defined by your individual and unique case, not some random label through a #hashtag or #trend!